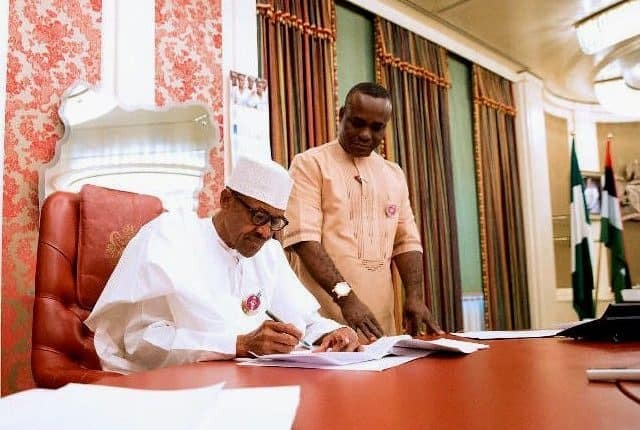 Senator Ita Enang, the senor special assistant to the president on National Assembly Matters (Senate), has said that he did not propose the use of the 2011 standing rule for the inauguration of 9th National Assembly. Enang, gave the clarification in a statement on Monday, April 15, in Abuja. He said “At no time did I say that the National Assembly should use the 2011 standing orders to inaugurate the 9th Assembly. Enang further said: “His Excellency, Senator Ike Ekweremadu, the deputy president of the Senate was the chairman of the session. He added that “the only business they can partake in is the election of the two presiding officers before inauguration and no more. Meanwhile, Legit.ng previously reported that of Senator Ahmad Lawan for the incoming 9th National Assembly Senate president seat.